At Rapport International, we have the translation, interpretation, and multilingual marketing services you need to communicate effectively, and provide the best experience for students, teachers, employees and the community. Clear and concise translation and interpretation services for every age. Speaking with families about education and schooling is personal, your face-to-face communications need to be clear, specific and easy to understand for parents and students who speak any language. Your school translations need to capture the tone of your writing that is done with care, compassion and a degree of authority. That’s what we do. With people-first communications, Rapport International has linguists that specialize in working with students and families. They are sensitive to the material while at the same time respecting the importance of accurate communications. When you work with Rapport International you work with professionals that respect the confidentiality of all communications - whether written or spoken. Want to dive into specific multilingual school and education services? As a supplier for the Massachusetts Higher Education Consortium (MHEC) Rapport International has experience working with institutions of higher learning. Universities and Colleges recruit students on a global scale and conduct international research. Not communicating in multiple languages means your institution is not keeping up. Work with us to develop a multilingual strategy and translation plan to be on the leading edge. 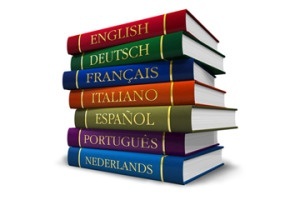 Learn more about translation services. With the addition of new immigrants here in the U.S., the face and voice of the school community are changing. There is now a whole segment of the population that does not speak English or speaks limited English. Schools, whether they are public or private, primary or secondary, need to reach this audience and set up a system to communicate with their non-English speaking population. Rapport International provides you with the tools you need to reach the New American community. We provide written translation and spoken interpretation services for all your communication needs. Learn more about translation and interpretation services. Schools have strict budget concerns and guidelines, and set processes they must follow. School communications also need to be timely and current. Rapport International will work with you within your timeframe and budget to provide the highest quality translation and interpretation services for you communications. One way we do this is we manage your translated documents so that we can reuse information from one year to the next and only translate new information (such as the current year, new policies, new teacher notes) saving both time and money. We also strive to provide the same interpreter to you and your families to build relationships and help ease difficult conversations. School information must be kept confidential. Rapport International follows a strict confidentiality agreement, either our own or yours, and keeps all your information secure. Our electronic files and communications are encrypted and secure, and our linguists sign a Non-Disclosure Agreement that states they agree to keep confidential all proprietary information of Rapport International and any Rapport International customer or potential customer. Your information, and information about your students, will be held in the strictest confidence and secure when you work with Rapport International. Click the link below to learn about the top challenges to overcome in education translations and how Rapport addresses these issues. "You guys are consummate professionals! I always feel confident referring colleagues to you." "Rapport International stands out in their field and provides support and service to their clients that continually raise the bar for the industry." "Thank you so, so much for your diligence following through on our requests today. I am so grateful! Again, many, many thanks for all your help. I know that we shall need your services again in the future, so, in the meantime, please accept my gratitude!" We'll be happy to provide you with a free quote for your for needs.